The staff at ACCE have truly embraced the greening movement and want to provide their students as many experiences as possible to become active citizens of the environment. Numerous staff members from all disciplines have attended workshops with outside organizations to enhance their teaching methods with regards to environmental education. One educator attended external PD in the 2011-2012 school year and seven educators attended external PD in the 2012-2013 school year. The goal of this workshop was to familiarize educators with information and activities about wetlands. They completed several engaging activities that were hands-on, inquiry-based, and cross-curricular activities. Upon completion of the workshop, each participant was given a lesson plan and activity booklet with over 50 hands-on multidisciplinary activities in lesson plan format, ideas for student action projects, and a wetlands resource guide. The WOW professional development gave Victoria Mathew, ACCE's lead science teacher, an opportunity to meet other educators who are committed to incorporating wetlands into their curriculum. The workshop gave Ms. Mathew a plethora of ideas that she was able to pass on to her fellow Science team members. Activities such as wetland bingo, wetland in a paint pan, predator-prey outdoor game, and a cattail boat construction were just a sampling of the ideas presented at WOW. This PD was hosted at Bluewater Baltimore. The Chesapeake Bay section of the ACCE 9th grade climate change unit featured several activities from this workshop. The students loved the activities, especially "Wetland in a Paint Pan", and asked if they could do more soon. This workshop addressed how stormwater retrofitting should be managed to meet the state requirements. Victoria Mathew attended in preparation for a summer research internship she was going to complete working with Dr. Stephen Ailstock at the Environmental Center at Anne Arundel Community Community. Although she was unable to complete the research internship due to surgery, Ms. Mathew gained valuable exposure to basics of stormwater management. The Chesapeake Bay Foundation provides Baltimore City educators an opportunity to use the inner harbor as an instructional tool. Elizabeth Gambino, ACCE art teacher, attended the multi-day event. They took mini excursions daily. Ms. Gambino has been an integral member of ACCE's greening movement. She incorporates the environment as much as possible into her art lessons. Students have since created "Be Green" t-shirts and she is working on making a labrynth with Jean Mellot. Ideas grown from this professional development has helped Ms. Gambino become a teacher who has made her students make connections with the environment. The Data and Estuary PD at the Karen Noonan Center is one of the best opportunities for educators to generate ideas about environmental education. Teachers from ACCE have attended this PD in 2009, 2011, and 2012. In 2012, Erin Montgomery, ACCE chemistry and AP Biology teacher, attended the five day event. 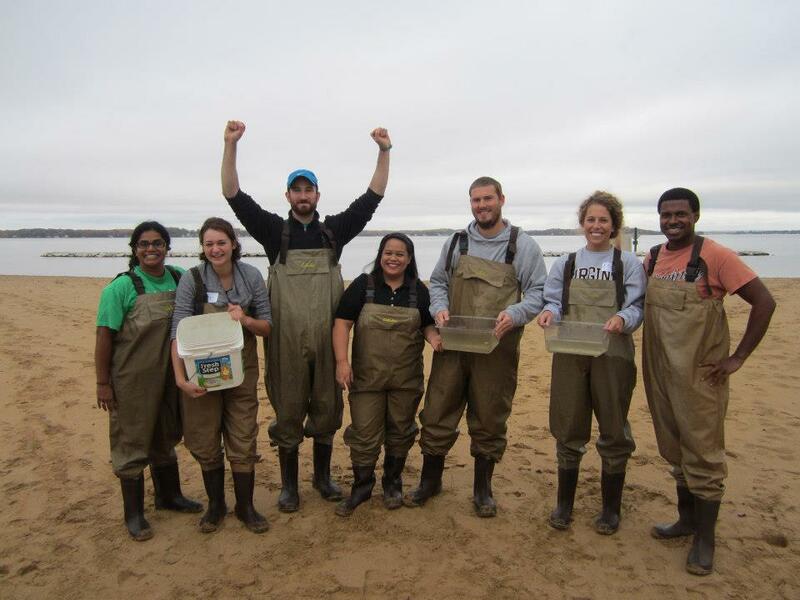 This goal of this professional development was to make teachers aware of the issues in the Chesapeake Bay and its watershed and to have teachers create a Meaningful Watershed Educational Experiences (MWEE) in their classrooms. Over the course of the five days teachers engaged in various activities: developing appropriate and answerable research questions, collecting data, data sources (web based and field gathered), methods, techniques, plots, transects, long term sampling, equipment, water quality and biological collection tools, built content knowledge regarding analysis of environmental data, data gathering tools and techniques for appropriate uses, and provided resources for funding and implementing MWEEs and action projects. Each teacher was expected to complete a unit plan along with three lesson plans that had some sort of MWEE element. Now that Maryland is the first state to have an Environmental Education credit required for every student to get their high school diploma, a professional development like this is necessary. Five teachers from ACCE's middle and high schools attended this one day professional development on Hart-Miller Island. The five teachers who attended came from the social studies, math, and science teams. William Moeller, Lynne Salero, Kayla Otto, Victoria Mathew, and Reginald Benbow were the five teachers who attended this event. They spent the day working with Susie Creamer from the Audubon Watershed Experience and Laura Baker from the Maryland Environmental Service Center. A tour was given of the island which gave the teachers a perspective on the importance of habitat restoration and dredged material placement sites. The teachers learned how to fish with a seine net and bird watch. These activities are similar to ones that Biology students conduct when they are on the annual birding and fishing trip. Afterwards, the teachers had to create lessons that would involve making connections with the outdoors. Ms. Otto and Ms. Salero created a math and science cross-curricular series of lessons that would build upon each other. After each teacher shared out their lesson ideas, their fellow teachers assisted with providing additional ways to make the lessons stronger. This PD brought together the staff of ACCE to build relationships between themselves and help them incorporate the environment into their curriculum.